"Great work! Feeling better each day, fun environment!" "After having such amazing results, Dr. Johnson has become my go-to chiropractor." "He's amazing! My husband and I highly recommend Dr. Johnson!" "I really like his individualized approach to his practice." "Dr. Ben Johnson is an amazing and caring practitioner. Great place to get adjusted! :)"
"This place is amazing! The staff is very friendly and Dr. Johnson is very personable." "I recommend seeing Dr. Johnson for all your chiropractic needs!" "Dr. Johnson is by far the best chiropractor I have ever been too." 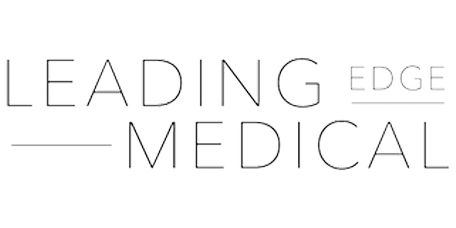 Leading Edge Medical in Gilbert, Arizona, is a wholly integrative medical clinic, offering both traditional medical and chiropractic treatments for pain relief, headaches, and a variety of musculoskeletal conditions. Leading Edge Medical is devoted to helping you achieve optimal physical health and well-being at every stage of life. With their emphasis on natural pain relief, the team at Leading Edge Medical has helped countless men, women, and children find long-lasting relief from chronic pain without the use of narcotics. Their mission is to identify the root of pain to eliminate it, rather than taking a band-aid approach. The chiropractors, nurse practitioner, and other specialists prescribe traditional, non-narcotic medications and interventions when necessary to control pain or resolve underlying conditions and disease. The team also uses supportive therapies to retrain your body to learn to heal itself. The Leading Edge Medical team takes time to learn as much about your acute or chronic injury, your condition, or your pain as possible. You’ll never feel rushed during your examination or treatment. The expert medical professionals can take care of every member of your family, from children to teens to the elderly. Whether you suffer from fibromyalgia, arthritis, headaches, sciatica, back pain, or other conditions, the caring team at Leading Edge Medical can help. Many men, women, and children who have suffered years of ineffectual treatments at other facilities finally get pain relief after they come to Leading Edge. With diagnostic modalities, you have everything you need for accurate diagnosis, treatment, and rehabilitation under one friendly roof. Leading Edge Medical also offers cutting-edge therapies, such as DyAnsys® neurostimulator for chronic pain, and is the only local medical facility that offers Invisa-Red™ laser weight loss technology. Multidisciplinary Medical Center located in Gilbert, AZ. Finding a neighborhood medical clinic that provides all types of diagnostic and treatment options under one roof is what we can offer. Leading Edge Medical, located on the Northwest corner of Val Vista and Ray Road in Gilbert, Arizona welcomes new patients from all surrounding neighborhoods. Our Invisa Red laser system offers a variety of services including weight loss, body sculpting, stretch-mark fading, skin tightening and cellulite removal. Regenerative stem cell therapy is a revolutionary way to use the body’s own capacity for healing. Learn how stem cells can help with a variety of painful joint issues. If even the slightest movement sends shooting pain down your legs, we can help. There is a light at the end of the sciatica tunnel. Invisi-Red works by breaking apart fat cells and ramping up your cellular metabolism so you can lose pounds as well as inches. Plus, there are no incisions, no anesthesia and no downtime. Here's how Invisi-Red can help you slim down this year. "We were a little sore and quickly found Dr. Johnson. I highly recommend him to anyone looking for a great chiropractor who listens to you." "The atmosphere in the office is upbeat and positive. Once I went to visit Dr. Johnson once, I wont go anywhere else." "Love this place and feel so much better after each and every visit! They also have massages. I recommend Lanae she's a God send!" "Dr. Johnson is the best!! I got into a rear end accident and I had whip lash. I been seeing Dr. Johnson since day one, I'm feeling better each day." "I've been going to see Dr. Johnson for over a year now and he's still my favorite chiropractor. If you need a chiropractor, trust me he won't disappoint." "Dr. Johnson is wonderful! Extremely knowledgeable, friendly, and takes time to listen to you when you are having problems/pain." "Awesome!!! Dr. Johnson is so great. I came in with a neck injury, but I think I will go back regularly now just to get adjusted."